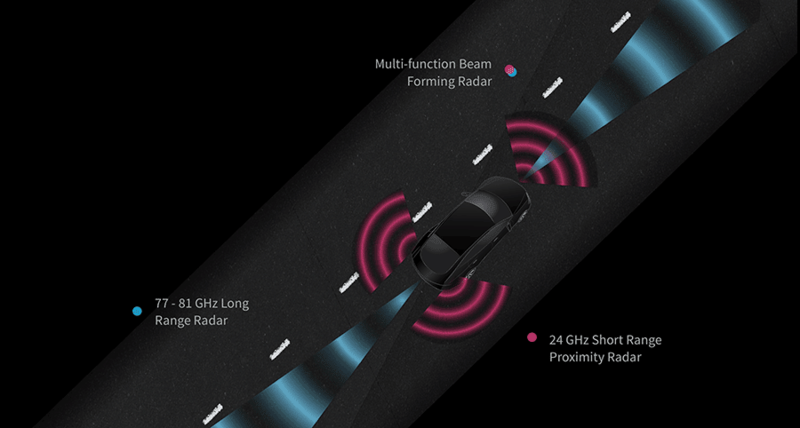 The high consumer demand and mission-critical safety requirements of automotive radar require capable and proven production test solutions to deliver this technology to market. 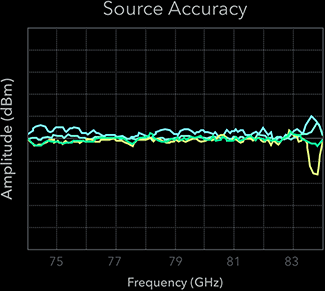 To meet the stringent performance and reliability standards, we offer the industry's most reliable at-frequency, functional test system for 24 GHz, 77 GHz, and 81 GHz radar applications. Built upon the sucessful and proven technology of the industry's first production radar test system (RI7100C), our second generation Cassini radar test system picks up right where it's predecessor left off. 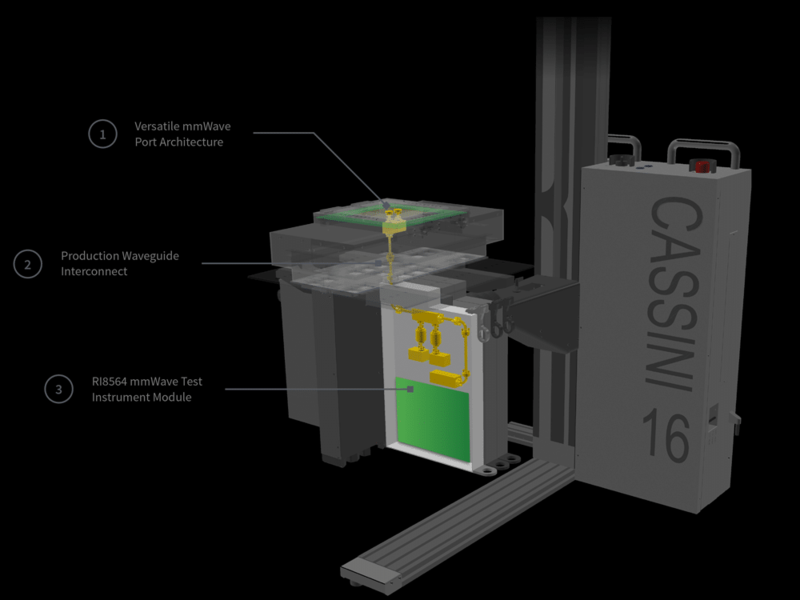 With a modular system architecture and more advanced instrumentation, the Cassini radar system delivers wider application versatility and higher measurement performance to tackle a diverse array of radar components while offering tighter performance specifications. Using military-grade components and connectors, we have created the industry's first blind-mate, production waveguide interface. 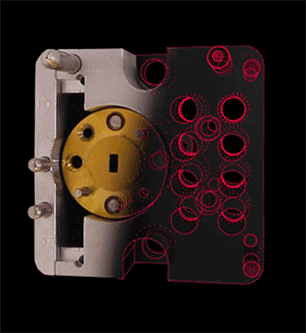 The robust mechanical design provides consistent waveguide alignment and docking planarity to ensure accurate and repeatable measurements. 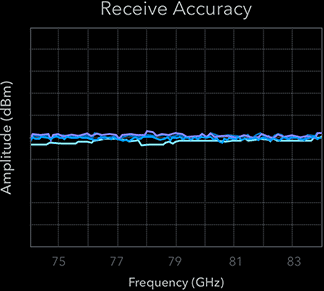 The interconnect system incorporates waveguide seamlessly into the device interface environment to deliver optimum signal performance to and from the device under test. 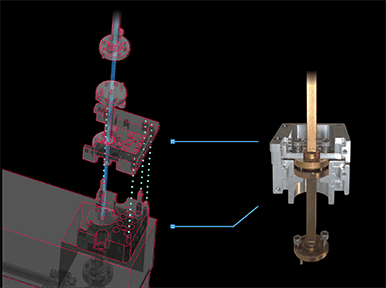 Keyed guide pins and precision blind-mate surface tooling provide reliable and repeatable waveguide connections while enabling easy access to resources during development and field servicing of the test bench in production. 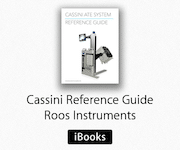 The RI8564 Test Set extends the microwave front-end of Cassini source and receivers with frequency and port conversion for test and measure capability in the 75 GHz to 81 GHz range. 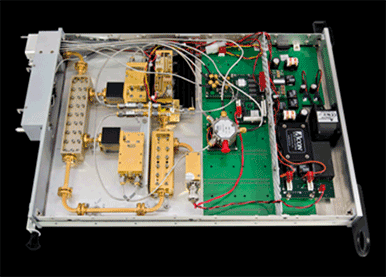 With integrated waveguide port conversion, calibrated signal paths, and our SyRF Core vector RF architecture, the instrument provides frequency translation and signal condition for phase and power measurements, S-parameters, and distortion test.